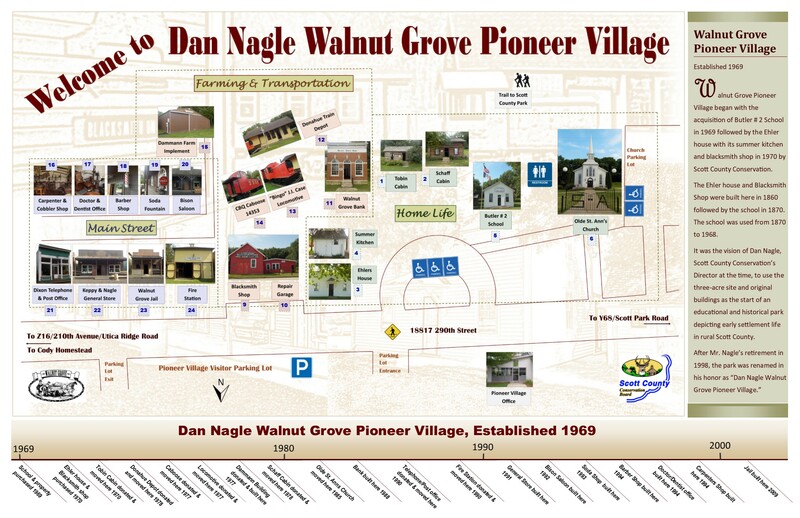 Step into Scott County’s rural past on a self-guided tour of Dan Nagle Walnut Grove Pioneer Village. “Main Street’s” general store and working Ice Cream Soda Shop on weekends, May-Sept.
A variety of tours are offered at Walnut Grove Pioneer Village. Please contact us for more information.